Use the form below to Inquire More or Reserve Tanzania Signature Safari & Beach. Play with gentle elephants, meet fascinating tribespeople and unwind on dazzling Zanzibar beaches on this exclusive safari and beach tour. Experience the best Tanzania has to offer with your own local safari guide and private 4×4 vehicle. Set out each day in search of big cats, wondrous giraffes and playful colobus monkeys. Trek through some of the country’s greatest National Parks for a chance to encounter wildebeests, warthogs, baboons, hippos and elephants. Meet fascinating Datoga and Barbaig tribespeople who still forge spears and jewelry from local silver. 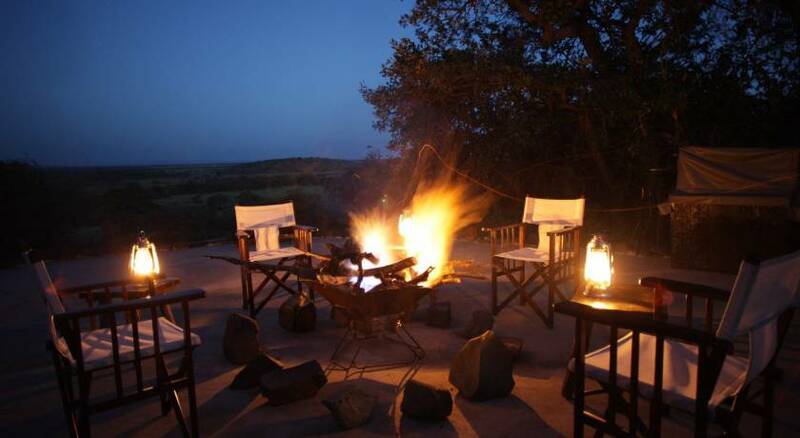 In the evenings, relax in charming tented camps and lodges that offer sumptuous comfort under a blanket of shimmering stars. Keep your eyes open for baboons and flamingos as your explore Manyara National Park, then head to Ngorongoro Crater, the world’s largest inactive volcanic caldera. Ngorogoro boasts over 20,000 mammal species, ans its here you’ll have the chance to glimpse some of the only remaining black rhinos in the world. 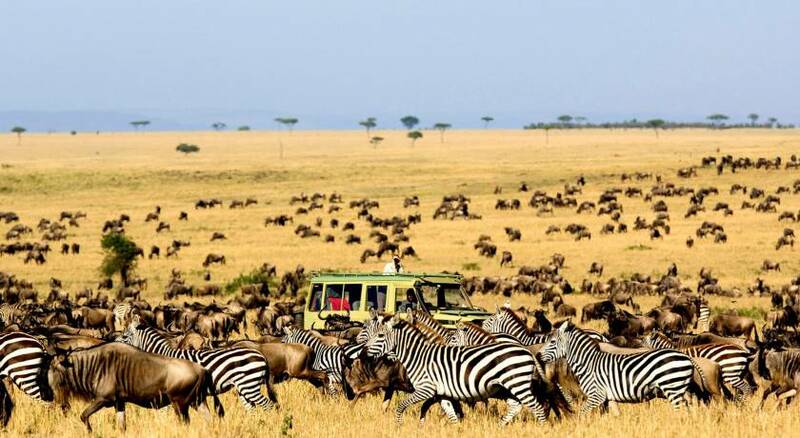 Prepare to be awed as you roam the famous plains of the Serengeti; considered by many to be the best location for game viewing on the continent. The park is home to the largest population of lions and giraffes in all of Africa as well as the Big 5: buffalos, elephants, rhinoceros, leopards and lions. Tsavorite Tours offers local support in each region you visit, another reason we deliver unbeatable value. Enjoy a personalized vacation that best suits your needs, developed by one of our experienced destination experts. Relax during your trip with our 24/7 support and expert local guidance. Your private, English-speaking driver will meet you in the public waiting area after passing through baggage claim to transfer you to your hotel. Prior to departing on your first day of activities, a trip representative will meet you at your hotel (often in the morning) to give you a briefing on the details of your trip. Your guide will drive you from Arusha to Lake Manyara Park. The trip takes approximately 2 hours. On todays game drive you will have to keep your eyes peeled in order to spot some of this area’s beautiful and elusive big cats. It will take a keen eye to take notice of the tree climbing lions, or the camouflaged spotted leopards. You should try to look around shaded area during the hotter hours of the day, as the wildlife will be looking for a cool area to relax. Time permitting, there are many optional activities. Activities range from nature walks to cultural village visits. Some of these can be pre-booked through your destination specialist while others can be booked directly with the lodge upon arrival. Standing high on the edge of a towering terracotta escarpment with panoramic views over the glittering alkaline waters of Lake Manyara, Lake Manyara Serena Safari Lodge offers a unique blend of safari opportunities, peace and tranquility, wildlife discovery, and ornithological richness. Grouped around a central ‘vanishing horizon’ pool, this highly unusual lodge features a simple timbered reception area, built in traditional African style, which is accessed via a bridge over a small stream. Beyond reception, lies the central dining room, barm and veranda, below which lies the pool. Perched on the very edge of the cliffs, with stunning views of Lake Manyara National Park, is the pool bar and observation point. Dotted around the grounds, all with views over the lake, are a series of circular two-storey ‘rondavels’, which house the rooms. Your guide will drive you from Manyara to Lake Eyasi. Depart early morning from Manyara to Lake Eyasi. Meet the local Hadza or Dorobo tribespeople, and depart on foot to track small game. Your guide will accompany to translate into English. Bow and arrow are used in the hunt, and you can try your hand at archery practice. After a short hunt try some bush meat and see a traditional dance. A picnic lunch is provided, or eat a local lunch prepared by the women (extra $10 paid to local villagers). After lunch, visit another tribe called the Datoga or Barbaig. See the work of a local blacksmith where spears, rings, earrings and local silver is forged and worked. Then head back to your lodge for overnight. 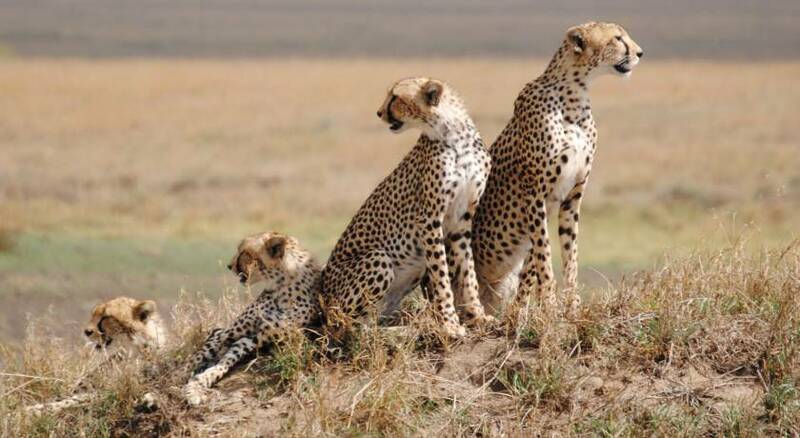 Your guide will pick you up from the Ngorongoro Conservation area and drive you to the famous plains of the Serengeti. 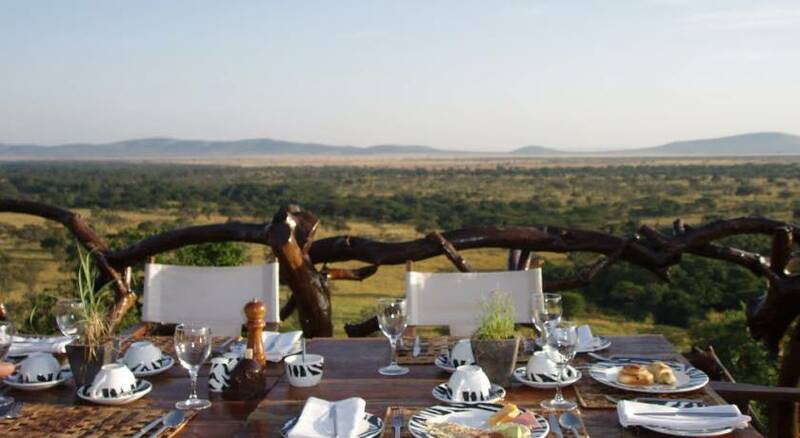 On this drive you have the option of stopping at Olduvlai Gorge, the Serengeti welcome centre and lookout point, or stop for lunch at a picnic spot. After entering Serengeti Park you will have the chance to enjoy game viewing as you drive through the park to your next accommodation. This drive takes 5 to 6 hours depending on the number of stops you make and how much game viewing you enjoy along the way. Expect longer trip times during the rainy seasons. 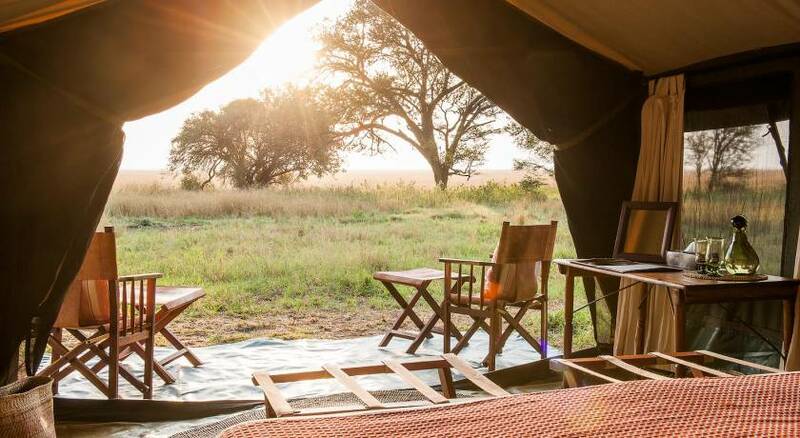 Accommodation: Mbalageti CampMbalageti Serengeti Camp features luxury tented chalets as well as lodge style standard rooms on the slopes of the rising Mwamweni Hill. Each room type is equipped with all the utilities of home, such as an en suite bathroom and a veranda with a stunning view. Dining takes place both in the bush, privately or with small groups, or in the dining tent, where local and continental cuisine forge new roots. English tea is served in the gardens with pastries daily. 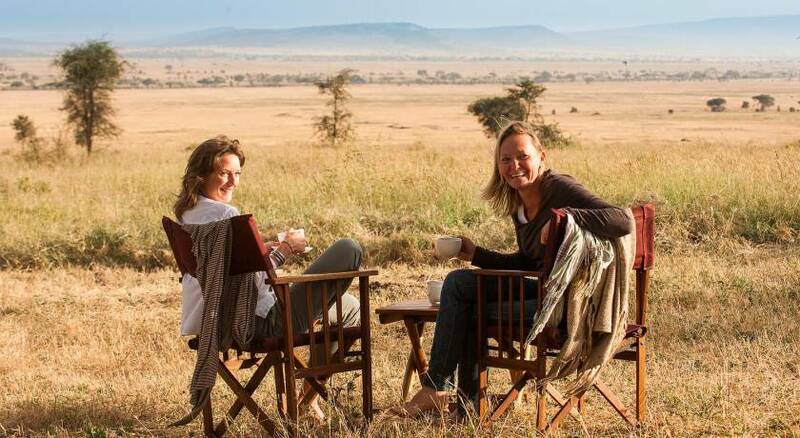 Activities range from spending some alone time in the loft reading books to a relaxing float in the tranquility pool, with the Serengeti plains as the backdrop. Spend today searching out Impala, one of Africa’s most beautiful and graceful animals. Previously thought to be part of the gazelle tribe, Impalas have been found to be so different that they are now classified as their own sub-family status. When frightened or startled the whole impala herd starts randomly leaping to confuse their predator. They can jump distances more than 10 meters (33 ft.) and 3 meters (9 ft.) high. Leopards, cheetah, lions and wild dogs prey on impala. Impala can reach running speeds of approximately 50 to 55 mph (80 to 90 km/h) to escape its predators. See if you can track these incredible animals! If time allows, your expert guide will squeeze in one more game drive before dropping you off at the airstrip. It will be your last chance to see the park’s diverse range of animals. 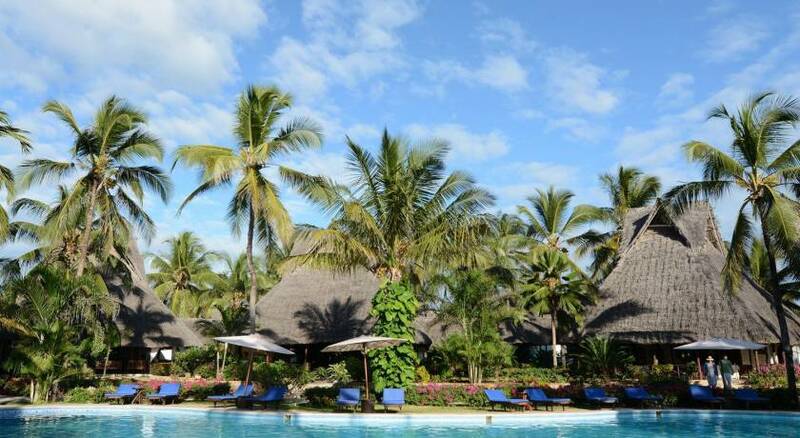 Take your flight from Serengeti to Zanzibar (ZNZ) today. The flight will do more than one stop on the way. 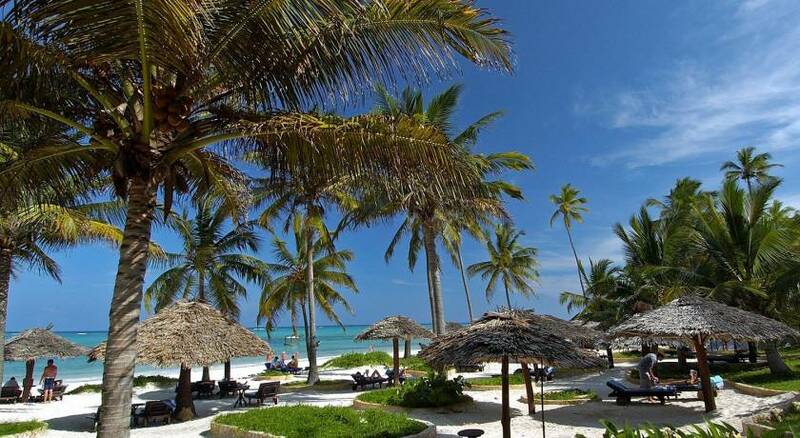 Transfer between your beach resort and Stone Town with a private vehicle and driver. Today you will head out on your private tour of historic Stone Town and spice route. A visit to a spice farm village gives you an insight into local life and the opportunity to try some Swahili dishes, taste the fruits in season and try some spiced tea. Walk through the spice farm with your guide. Touch, smell and taste different spices and tropical fruits. Try to guess which is which, from the crushed leaves, the fruit, shoots, vines, and creepers crawling up the trees. Follow the trail of the sultans, slaves, and explorers in the winding streets of Stone Town. Your guide will tell you about the events that shaped Zanzibar, leading you through the buildings where it all happened, such as the former Slave Market and Anglican Cathedral, the House of Wonders, the Sultans’ Palace Museum, the Old Arab Fort and Dispensary. Take your flight from Zanzibar (ZNZ) to Dar Es Salaam (DAR) today. The flight duration is approximately 20mins. A private vehicle with driver will provide a transfer between the international airport and the domestic airport (terminal 1 and terminal 2).